Plymouth cars are some of the most reliable that were ever produced by Chrysler. While these cars look great, what makes them perform well is the quality of the 4-cylinder engines that were inside of them. Chrysler has one of the best engineering plants in the world and there would not be many cars and trucks on the road today without this technology. We carry Plymouth car engines for sale because we know how great they are and what our customers demand. We are able to offer these excellent engines at cheap prices. Get our rebuilt or used Plymouth motors for the low price that you didn’t expect. There are many Plymouth models that used the same engine. Chrysler did this both for simplicity and because the engines were that good. Many of the passenger cars relied on the 4-cylinder engine. The minivans made use of the V6 or V8. The full power of Chrysler was felt by millions of drivers that purchased these vehicles and still use them to this day. We are probably the largest Chrysler motor dealer currently selling online. We definitely have the inventory numbers to prove it. You don’t have to be a business to get the lowest pricing. We do not do price favors here. Every person that sends in a quote gets the same price. Rebuilt and used engines are the only engines we have in our inventory. We made the decision not to offer new engines because the price is not feasible for most people. What we don’t want our customers to think is that our used engines are like those sold on eBay or other auction websites. We avoid those sites and know exactly what is sold there and we refuse to be associated with that engine quality. Our distributors are professionals. This means that they buy engines that are not dirty or sitting around rusted out. Engine pullouts and overstock are usually what we have for sale. These are much nicer and a lot more reliable. The engines that we don’t sell as used are the ones that are expertly rebuilt here. The entire process is long and lengthy. We do our very best to explain all of our work to every customer. It’s hard purchasing engines from the Internet that you cannot look at first. We start with clean engine blocks and parts. If we find any parts that must be removed, we remove the bad parts and put OEM ones back on in their place. This eliminates breakdown issues due to bad parts. The engines are cleaned and testing by our in-house specialists. What we come away with is a great Plymouth engine. Quotes here at www.carenginesforsale.com are always the lowest we can give. Our prices don’t change on a daily basis like some websites. Use the Plymouth car engines quote form right here on this website. You will be blown away. 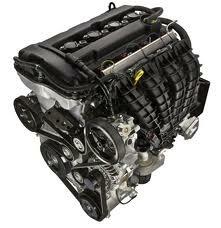 It’s fast and is one of the smartest ways to get affordable engines. Call 1-877-630-3873 to place an order or just get a little more information. We’re waiting for your call.